Are you looking for a piece that is both effortlessly elegant and classically beautiful? This Mystic Wedding necklace will be the perfect choice for you. Made up of a perfectly shined teardrop pearl and a stunning teardrop diamond mirroring one another off of a simple silver chain. This is a look that will compliment any dress, vintage and lacey or modern and sleek, with just the right amount of drama. 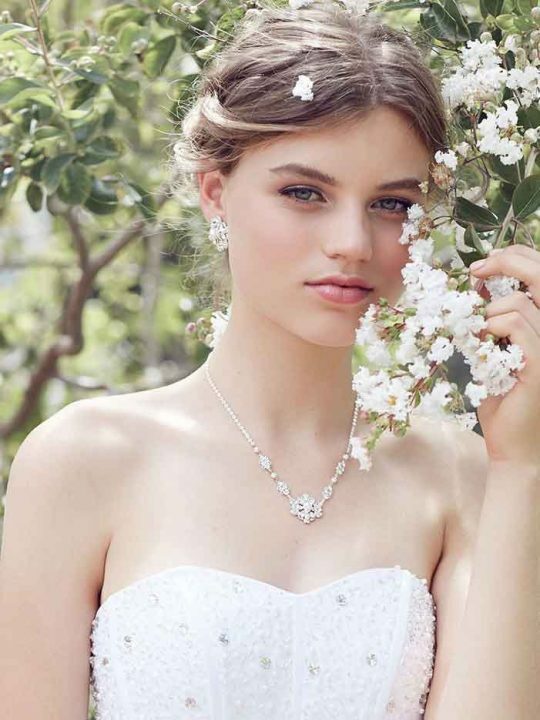 This necklace will add a timeless luxury to your special day without drawing away from your natural beauty. Keep things simple yet chic with this dazzling piece that you’ll be sure to love for years to come. After the wedding day, you’ll be able to use this gorgeous Pearl Pendant Necklace with a wide range of outfits from a night out on the town in an elegant sweater to a fancy dinner party for work. Whatever event might come up, you’ll be sure to have the perfect piece with anything you might want to wear. Complete you look with a pair of special occasion earrings. Other special occasion jewellery from Hello Lovers Australia. Your wedding jewelry will be a key part of bringing together your entire look, and so it needs to be something you absolutely love. Invest in a piece that you’ll be sure to enjoy year after year. The timeless elegance of this necklace makes it the perfect compliment for any sort of style, and you are sure to feel the care and devotion that went into its creation. Its timeless beauty will have you reaching for it time and time again. Let your wedding style shine and give yourself the gift of a little added luxury by having this dazzling piece by your side for every occasion. Match with the Mystic wedding earrings and pearl hair pins.